My favourite work of art and my personal window on the world of aesthetics is a blank piece of paper. It cost me $145 plus postage about ten years ago. I have never regretted spending the money. The piece of paper now hangs on the wall of my office, makes me smile every time I look at it, and even evokes faint feelings of pride from time to time. The blank paper is an editorial cartoon commenting on the release of a book that I edited and helped write. 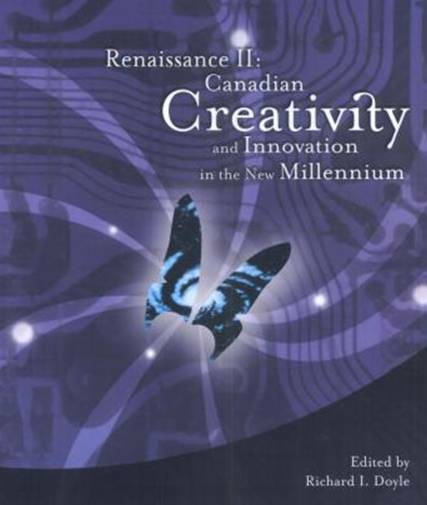 The book, Renaissance II, is subtitled Canadian Creativity and Innovation in the New Millennium and was compiled to synthesize the results of a series of symposia, workshops, and conferences organized to celebrate the arrival of the new century and millennium by encouraging new ways of looking at the world specifically through unconventional, cross-disciplinary collaborations in the arts and sciences. 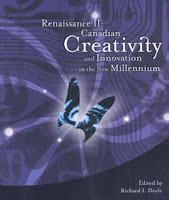 The series and writing the book were fun projects that featured contributions of Nobel Laureate scientists, great writers, philosophers, and innovative thinkers like Arthur C. Clarke who participated in our conferences (see Sir Arthur's neat comments on the book about half way down in my bio). It was cool to meet these people and collate their ideas on creativity. 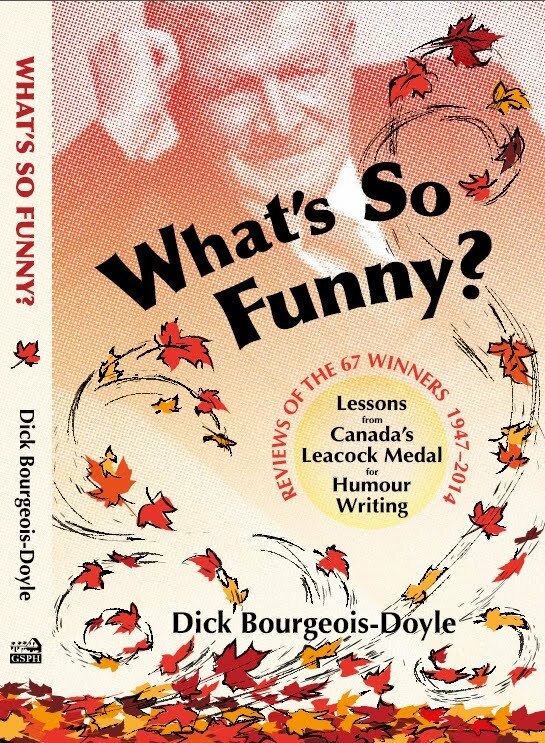 The book caused a surprising stir at the time in part because its urgings to do more and better were seen as an indictment of Canadian creativity and innovation and was reported under simple headlines like “Canadians suffering from a lack of Creativity” – the background punch line to the blank, empty, void editorial cartoon. I might have hoped for other kinds of media coverage for the book – in my dreams. But it was cool to see the discussion on the issues in the media, and the editorial cartoon seemed iconic so I resolved to buy the original. A couple of phone calls revealed that the sale of such works is quite common and that there was an established infrastructure for ordering and buying. I was informed of the set price and the absence of any process for haggling. I later talked to the artist (the still scribbling Malcolm Mayes), ordered it, and soon received the thin and pricy piece-of-paper package in the mail. Normally, I would spend a few bucks on a decent frame for an original work of art, but not wanting to amplify my expenditure on the blank piece of paper, I took a photo out of a frame in the basement and reused it. Now, you can probably understand why I still smile and even laugh at my piece of paper and myself. But you might be surprised by the degree to which it has influenced by perception of art, understanding of art appreciation, and aesthetics. The fact that a blank space can evoke personal and real emotions makes it easier to accept that colours in unique combinations, abstract images, and the surreal have a specific power and effect. I thought of my relationship with my blank piece of paper a lot this summer at the Reina Sofia Museo in Madrid when it helped me grasp at how the choreographed images in Picasso’s Guernica and Dali’s the Great Masturbator could hold special powers and evoke the responses they have. With my empty piece of paper as a personal point of reference and touchstone, mind-wrenching concepts like those flowing through lofty debates around aesthetic absolutes started to make sense to me. In the past, if I were forced to dictate an absolute in the world of art, I am pretty sure that I would have said that a basic requirement would be for the artist to actually do something to his chosen medium – but my editorial cartoonist guy left the paper untouched and thereby created a piece of art just because of the circumstance. 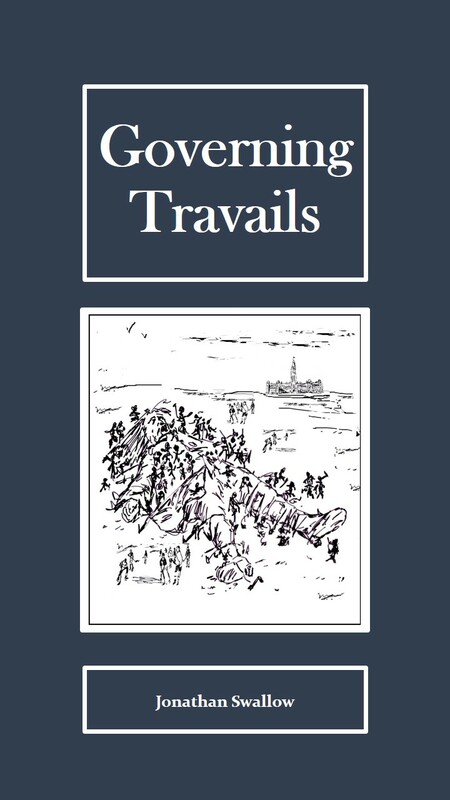 Perhaps, this work of art appeals on a deeper level to my long-running inclination toward doing as little as possible myself (see these two blog-post odes to the impact of doing nothing Dead Fish and the 6th Beatle). In any case, because my piece of paper can challenge even this basic notion of the artist being required to do something to his or her art for it to become art, I am ready to agree that every true work of art should be judged by its own intent and its own individual set of rules. There are really no rules – only instincts, emotions, and that thing the pretentious among us label “good taste,” but might also be called sensitivity to context. - I would have assumed the writer was on acid or, worse, was a toxic purveyor of useless abstraction. But now, not only does it make sense to me, I can say stuff like that with a straight face in public. Cool again. If I was an artist, there would only be one rule that I would apply – to create joy – in my audience and in me. The guy who chose not to touch that piece of paper in Edmonton ten years ago certainly did that for me, and I hope that he drew personal joy from making a slightly outrageous idea work. This may be what creativity and innovation is all about – somehow making the outrageous work - and – it amuses me to no end to think that the greatest aspirations that my little book might have had could be well represented by the blank piece of paper on my wall.